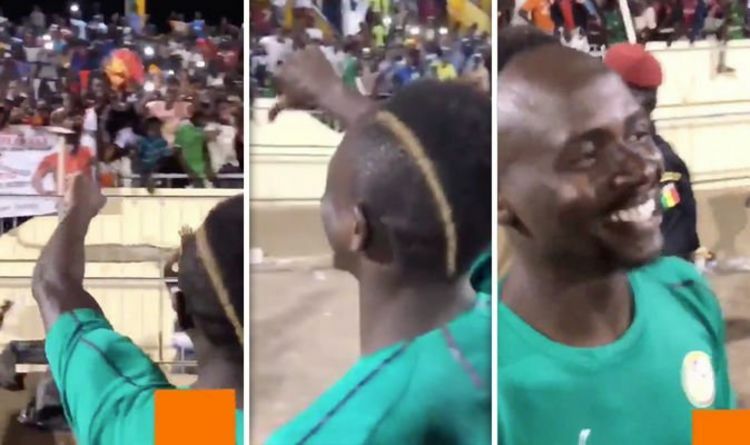 Mane was in opening training in the build-up to that match – but noticed a group of United fans in the stands at Stade Lat Dior in Thies. Koulibaly has long been linked with United with the Napoli defender viewed as one of the best in Europe. The Red Devils are short of a talismanic leader at the back – one in the mould of Liverpool’s Virgil van Dijk – with Koulibaly arguably one of the best options they could look to. The 27-year-old would reportedly cost upwards of £90million but United fans have long wished for their club to make the deal happen on social media. And Mane knows all too well his compatriot’s quality, having also faced him in two matches in the Champions League group stages this season – with Liverpool beating Napoli 1-0 at Anfield and losing 1-0 at Stadio San Paolo. The Evening Standard claim that United could return for the dominant Koulibaly in the summer transfer window. That’s after having been tipped to move for him last summer and in January. Ole Gunnar Solskjaer’s predecessor Jose Mourinho was publicly keen to sign a commanding centre half and per the Standard, United’s vice-executive chairman Ed Woodward was willing to finance a deal in the winter window. And Ian McGarry of the Transfer Window Podcast suspects the reason United did not make a firmer push for Koulibaly going into January was because they had already made their minds up on Mourinho – who was sacked on December 18. McGarry said: “Woodward, at the point when Jose Mourinho was pushing for Koulibaly to be bought in the January window, I think both Woodward and the Glazers had lost faith in Mourinho’s abilities, maybe even before. “I think Koulibaly is well above both Lindelof and Bailly so that doesn’t really hold water that argument. “Koulibaly, I think, could fit in to any team in European football, any big team. He has everything in terms of his reading of the game is very, very good. “His positioning both on and off the ball is intelligent and he’s hard. He’s one of those proper hard, hard men defenders, you know? Mane and Koulibaly’s Senegal need at least a draw against Madagascar as they seek to top Group A. A loss would see them finish second with a tiebreaker first determined by points in head-to-head matches, as opposed to goal difference. The two nations drew 2-2 in their other meetings. After facing Madagascar, Senegal then take on Mali in a friendly. Liverpool will hope that Golden Boot contender Mane returns to Merseyside fully fit, having supplied 11 goals in his last 11 matches – including five in his last three.